As an undergarment or on its own, the Wolfram Premium Canvas Tunic is perfect for an adventurous stroll through a LARP kingdom or renaissance faire. Create a historical look without forsaking comfort during the hot days of summer. 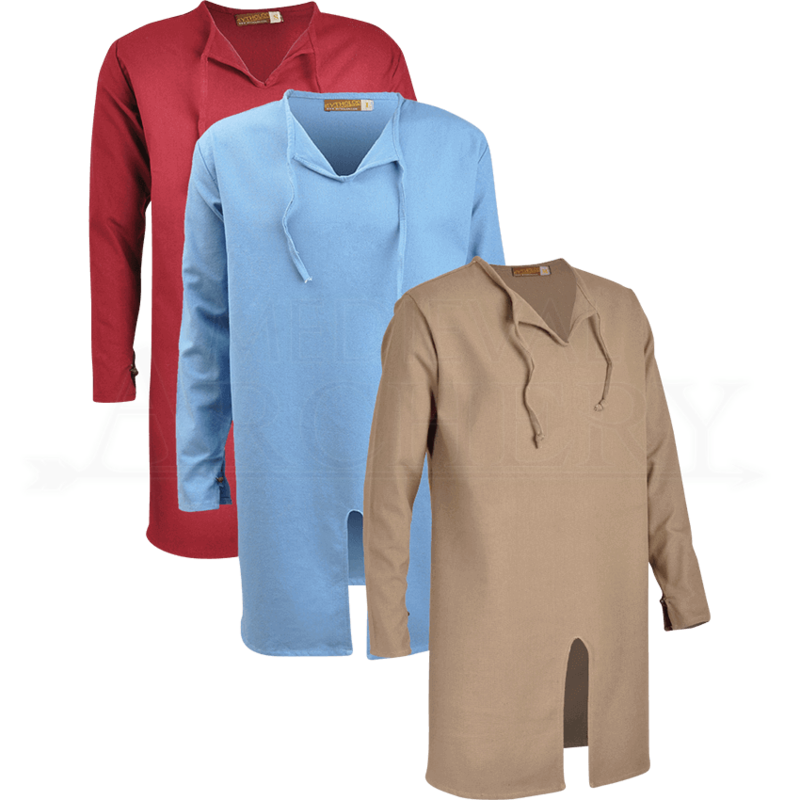 The long-sleeve tunic has a wide, roomy cut, a front horseman slit for movability, and a round neckline with V-opening. It is fitted with fabric tie strings at the neck and buttons at the wrist. This period garment is handmade from a tightly woven cotton, more durable than light cotton, but softer than our regular canvas items. Handwashing this item is recommended. Do not dry in the dryer. Do not bleach. Item may be ironed on a low setting.